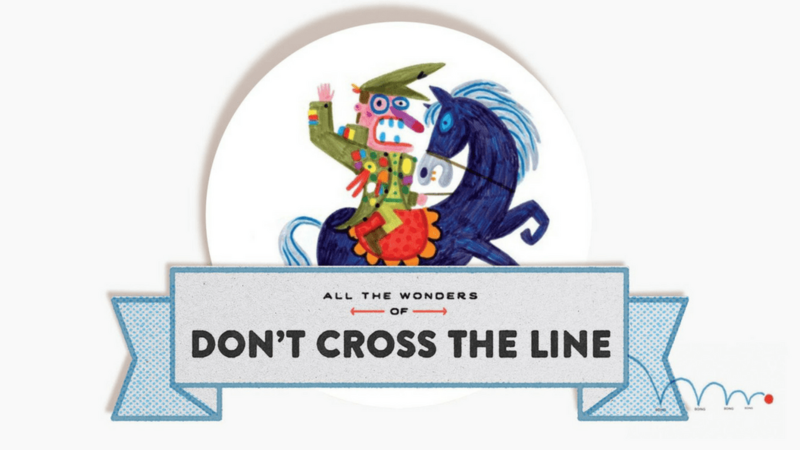 We’re celebrating All the Wonders of DON’T CROSS THE LINE! this month, and we couldn’t be more excited! Join us as we explore the impeccably designed tongue-in-cheek book about breaking the rules and thinking for yourself. 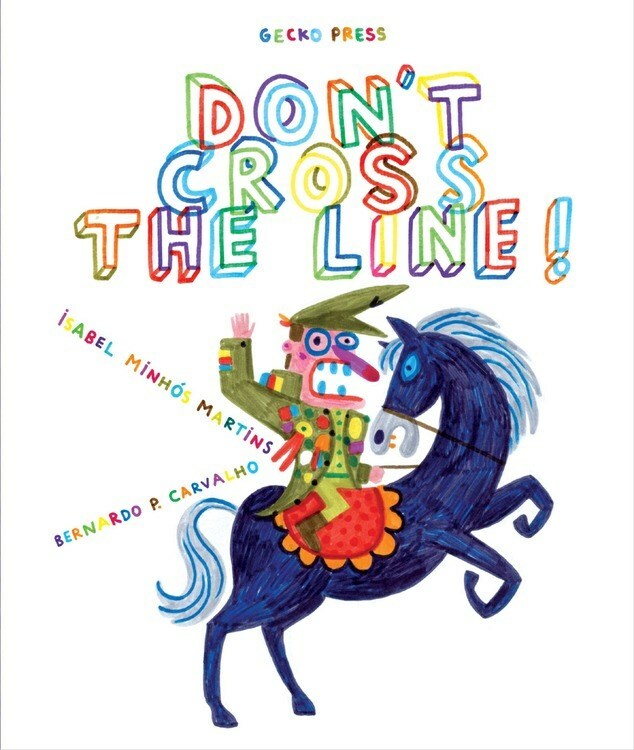 Isabel Minhós Martins and Bernardo P. Carvalho, author and illustrator of Don’t Cross The Line!, stop by the podcast to talk about exploring the frontier of a book, asking if we should always obey, and inviting the reader to participate in the storytelling. CLICK HERE to listen. 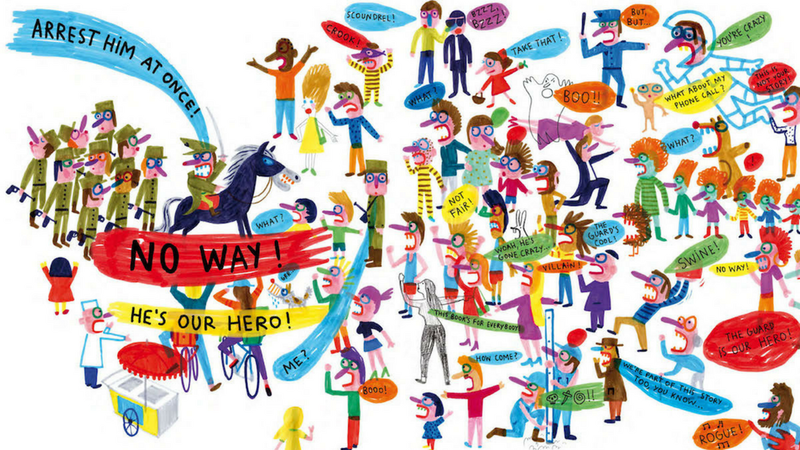 For a book called Don’t Cross the Line!, it sure has a lot of characters who cross the line… CLICK HERE to explore inside this creative book! 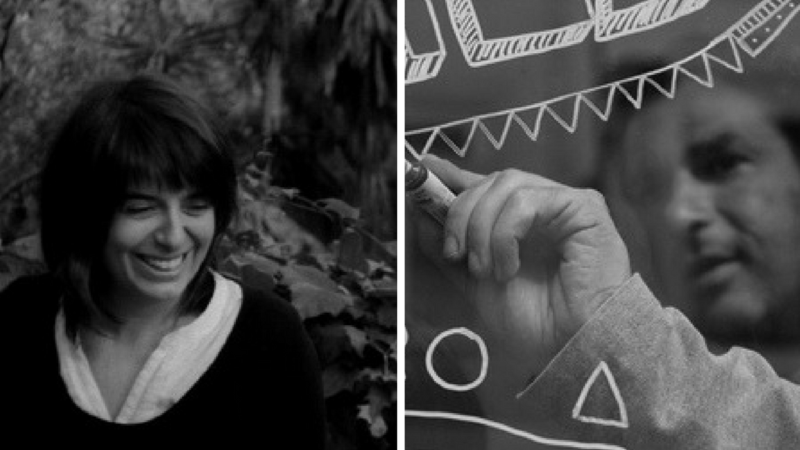 Illustrator Bernardo Carvalho gives viewers an inside look at how his illustrations came together, as well as a look at his promotional tour with author Isabel Minhós Martins. CLICK HERE to take a look! 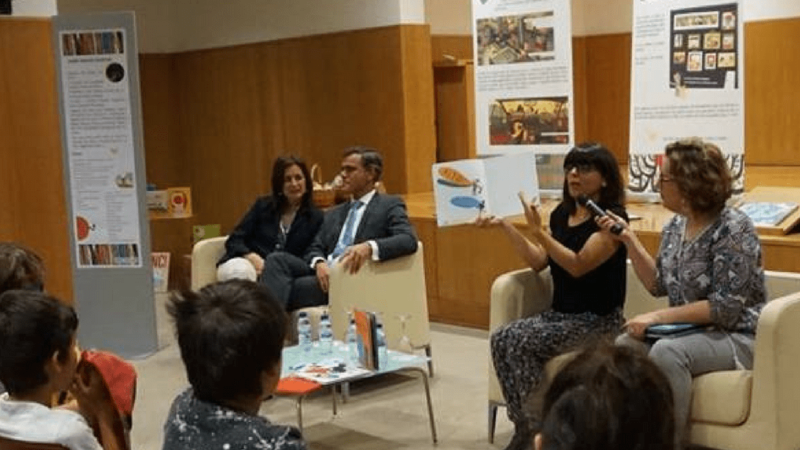 Author Isabel Minhós Martins takes readers on a photo journey around the world as she talks about her book in different countries. CLICK HERE to travel the world! 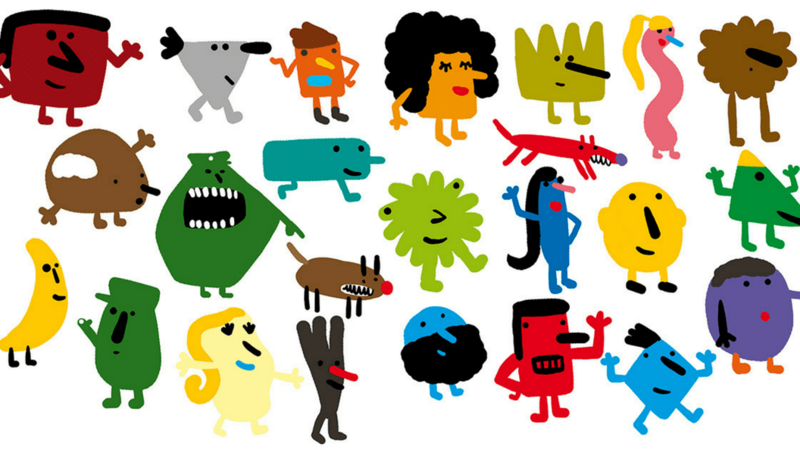 DAqui NiNgUeM PaSsa from bird on Vimeo. Click above to witness the spirited and creative book trailer for Don’t Cross the Line! Enter your information below to win one of two copies of Don’t Cross the Line! I am a little of both, usually folow the rules but might stretch a few along the way. Am I a rule follower, or a rule breaker? It really depends on the situation — I am, for the most part, a rule follower, unless it doesn’t make sense, then I am definitely a rule breaker. Great book trailer! I can’t wait to read this one. “When it comes to lines, are you a rule follower or a rule breaker?” I’m afraid I’m a rule followerbreaker! I’m a bit of both! I’m a rule breaker and a boat rocker. Rules are dependent on the situation but, predominately I am a rule follower.